For real estate agents, there are countless programs and charities available nationwide for you to give back to your communities. 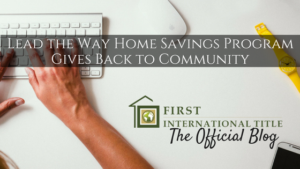 If you’re looking for a more local program, Lead the Way Home Savings, founded by Jeff Parkerson, gives back to the people who serve their communities on a daily basis. After settling down in Texas with his family, Parkerson began searching for ways to give back to his community. As a former Marine, police officer, and air marshal, among other positions, Parkerson decided this was something he needed to do. So, in 2015, Parkerson started Lead the Way – Home Savings Program. His program offers qualified applicants 25 percent of the realtors’ commission on real estate sales. Those eligible are active military, veterans, law enforcement, firefighters, teachers, professors, doctors, nurses, ministers, and all supporting personnel. One important factor Parkerson noticed about other programs similar to Lead the Way was they did not include supporting personnel or ministry. For example, police dispatchers and admin personnel did not qualify. He wanted to be different. Lead the Ways Home Savings not only includes all folks who serve their communities with the above careers, but their entire supporting staff as well. He said the program has evolved a lot since its inception. At first, he was the sole realtor offering Lead the Way and it was a local program, serving the Dallas, Houston, and Austin areas. 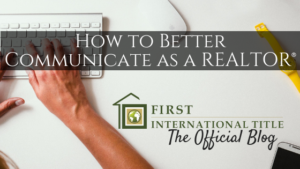 Now, he works with realtors nationwide that also have a passion for service. Additionally, many mortgage and title companies have joined the network of Lead the Way to offer even more benefits. Any real estate agent from any brokerage is able to take part in Lead the Way. Parkerson’s goal for the program is to have agents, nationwide, that are ethical, and passionate about serving – no matter which brokerages they work for. Parkerson also hosts a radio show called “Lead the Way Radio,” at KVGI Studios in Frisco, Texas. The show airs nationwide and is broadcasted live every other Thursday from 1-2pm CST and he said it’s not focused only on real estate, but that it’s just another way to focus on people giving back to their communities. 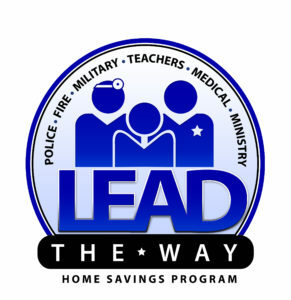 For more information about Lead the Way Home Savings Program, to join the program as a realtor, or to apply as a home buyer go to www.LEADTHEWAYhomes.com. Newlywed couples are wonderful. They’re full of life, energy, excitement, and passion. They’re quick to forgive and easy to please. However, it does come with new challenges as well. Moving into your first house together can be daunting. Whose stuff do you keep? Whose do you throw away? How do you decide which way the furniture should face? Although every couple and every home is different, here are a few easy steps to get started in your new home together. Don’t get stuck the week before the wedding to start packing and planning for your move. Give yourself plenty of time to pick your house and sign the documents well before the best day of your life. Weeks, or even months, in advance, start packing up boxes with items you don’t use every day. If you’re able to start moving in boxes, a couple at a time every single day, at least two weeks in advance then by the time it comes to officially make the move, it won’t feel like so much work at once. Weddings can be stressful enough on their own. You may also consider hiring a moving company to do all the heavy lifting for you. Literally. Also, make a list of important tasks, like changing your mailing address, to get done and cross them off as you go along. Make another list of things you’ll need to buy for the house that are non-negotiable. Don’t forget the little things like toilet paper, nails to hang up photos, and coffee for the first morning in your new home. Whether you buy a 4,000 square foot house or a 1,200 square foot house, a house that’s cluttered still looks small. Maximize your space by, first of all, getting rid of things you don’t use anymore. That stack of newspapers may be helpful to wrap fragile items while you move, but once you’re in, toss them out. Look over your area and play with the furniture until it looks right. Every house is different and you may need to move the couch two, three, or four times until it fits just right without taking up too much space. Utilize the space in the corners with a tall DVD rack, side tables, or a dog bed. Not only do you save the precious space in the middle of each room, empty corners usually look odd anyways. Also, don’t underestimate the power of shelves. You can add extra shelves in your living room, dining room, or office to store knick knacks, kitchen tools you don’t use often, decorations, and other random items. Create an outdoor space for yourself on your patio or porch. If you have a covered area, consider placing padded chairs and a rug outside with a table and outdoor utensils. It serves as an extra place for you to go and relax. It can be bittersweet getting rid of household items that you’ve used for a long time. However, there is really no point (and, most likely, no space) for you and your new spouse to have two blenders, two toasters, and two cheese graters. Get rid of the things you won’t need. If you’re having difficulty choosing who should let theirs go, try to make the most logical decision by choosing the newer of the two and set feelings aside. Choose the toaster that will last longer and prolong you having to buy a new one. On the other hand, if one spouse has an item, say a special recliner or area rug, which has been passed down in his or her family, it has a sentimental value that no amount of time can take away. Consider keeping these unique pieces. After all, you will want your house to feel personal. You and your partner are going to be spending a lot of time in this space. Create an area that is special, cozy, and a place that you want to spend time together. Candles, blankets, old family photos, reading books, and rugs are just a few of the many things that you can use to make your home feel comfortable. Keep things out that are special to you, such as a candle that was used during your proposal or a framed letter that you sent to your partner while you were apart. It also reminds you of your unique relationship, especially when you have friends or family over and it creates a topic of discussion. Although hotels are nice to stay in from time to time, you won’t want to feel as though you live in one. Proudly display the items that are special to you and make your relationship unique.